We have some more tasty tidbits for Runner3, the third entry in the Bit.Trip series that last left off with Runner 2: Future Legend of Rhythm Alien. Welcome to Foodland, one of the first worlds in the game. 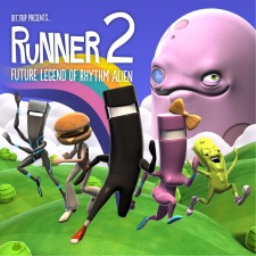 2013's Runner 2: Future Legend of Rhythm Alien might not be the most popular game on the site, but it holds a 4.1/5 star user rating and its fans will be glad to know the devs have teased a sequel, coming in 2017. The first Runner game with trophies was Runner2: Future Legend of Rhythm Alien, which was developed by Gaijin Games, published by Choice Provisions and released on 26 February 2016. 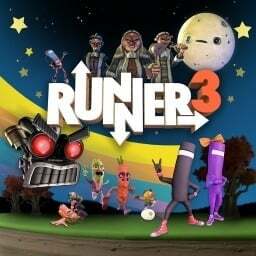 Since then there has been 1 more game in the series with trophies - Runner3 which was developed and published by Choice Provisions and released on 13 November 2018.